This is a complete bike training plan. It is ideal for those who want to get very fit within a few months, build lean muscle, shed stress, and burn a lot of calories – while using a bike for low-impact exercise. There are a lot of books about cycling training, but I find most of them so complicated that I get tired just trying to read them. In this post I have simplified things, but retained the core elements you need to build cycling fitness fast. You will find this plan easy to follow – and along the way, you might just have some great experiences! 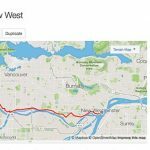 Complete bike training plan – You will find this plan easy to follow – and along the way, you might just have some great experiences! Your mission in Phase 1: to get to the point where you can cycle for an hour continuously. How often should you cycle in Phase 1 of your bike training plan? Cycle just three times per week! Phase 1 of my Complete Bike Training Plan requires you to do just three days of bike training per week. Three rides a week will get you cycling fit, without exhausting you, so you are much more likely to keep it up. It’s much better to be looking forward to the next training ride, rather than dreading it. You can increase frequency later, once you are fitter. In the beginning, listen to your body. If you feel exhausted the day after your second ride, rest up till the next week, then start again. In other words, omit the third ride of the week, to give your body time to recuperate. 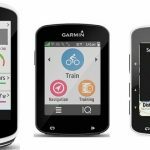 How long should your cycling sessions be in Phase 1 of your bike training plan? This depends completely on how fit you are when you start. For example, if you are completely unfit when you start, simply spend each of the three training sessions doing as much cycling as is comfortable for you. That might be as little as 5 minutes. There are thousands of success stories of people who started out only able to cycle around the block, and ended up as super-fit athletes. Many of them lost a couple of hundred pounds while they were doing it! So start by doing 5, 10, 15, 20, or 30 minutes of cycling at a time, three times per week. If it is still hard to do on the third ride of the week, repeat the same amount of cycling three times during the next week. Once you can do your starting length of time easily, add on 5 to 10 minutes to each ride. If you listen to your body, you will know how many minutes you can add on. Repeat that ride three times per week. Then do it again the next week. And so on! Until you reach your Phase 1 goal of being able to cycle continuously for an hour. Try to plan your rides carefully, so as to avoid disappointment and frustration! How should you schedule your cycling sessions in Phase 1 of your bike training plan? You need to cycle three times a week, every week. So choose your training days to fit your own schedule, as long as vital rest days are built in. At least two of the three cycling days should have a non-cycling day in-between – do not do your rides on Monday, Tuesday, and Wednesday! The first example is perfect for spacing out the days, but the second example may work better for you because it enables you to do most of your cycling on the weekend. How intensely should you exercise in Phase 1 of your complete bike training plan? You should be cycling in Heart Rate zones 2 and 3 – light to moderate, heart rate zone 50 to 60%. 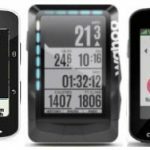 Ideally you should use a really decent heart rate monitor, such as this one that enables you to clearly see your heart rate as you are cycling: the Polar FT4M Heart Rate Monitor Watch. 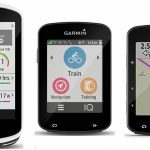 Alternatively, get a great bike computer that will enable you to track your rides and your health. 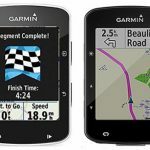 I have a post here that compares the 3 best bike computers: Garmin Edge 1000 vs 820 vs 520. This kind of fairly gentle intensity exercise can be achieved by cycling on reasonably flat terrain. Unless you live on a desert plain, there will most likely be some uphills, but be sure to choose a route that does not have killer hills. 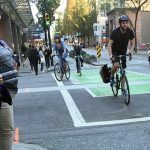 If these cannot be avoided, it is okay to push your bike sometimes! The terrain in the picture below is perfect – it’s completely flat. Of course, not everyone has access to this kind of terrain. However, if you explore your own area, you might be surprised at what you find. I work in a city center, and recently was amazed to discover literally miles of single trail cycling tracks right nearby. Most of these tracks cannot be found on maps – but it is usually quite fun to look for them on your bike! As well as the three days per week of cycling, I recommend one day per week when you do about 40 minutes of cross training. This should be some other kind of exercise. This helps with physical balance, and most crucially, it helps you not to get bored. The cross training could be something that targets your core muscles (very important in cycling) such as yoga or Pilates. Or you could simply do our Complete Core Workout – which requires no special equipment or gym fees. If you prefer, your cross training day could be a weight training workout where you aim to build overall cycling muscle strength. There are books that have workouts specifically designed to build cycling strength, such as Weight Training for Cyclists: A Total Body Program for Power and Endurance. This kind of program will build your strength and – bonus! – help you to avoid cycling injuries and cycling knee pain. Or your cross training day could just be something completely different that you enjoy, such as swimming. When I worked as a personal fitness trainer, the most common reason I saw for people burning out, giving up, or failing to improve was that they simply did not rest enough. Rest is crucial. It’s on those rest days that your muscles, tendons, and blood vessels actually grow. On the exercise days, you’re breaking things down. You can see how it would be a problem to break your muscles down every day and never give them a chance to grow! On a psychological level, if you exhaust yourself you will soon quit – it’s just human nature. Three days of cycling per week will equate to three hours per week in the saddle. This is enough to start getting cycling fit, without exhausting yourself – providing of course you are getting enough sleep! Remember that your body rebuilds and your muscles grow best while you are asleep. Sleeping is one of the most under-rated health-giving activities! Stretching is absolutely essential. It is the vital key that can save you from pain and injuries. 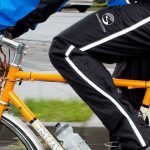 This article about how to prevent cycling knee pain has a simple stretching guide that has been protecting me from cycling knee pain for years. It’s best to do the stretches straight after your bike ride. For maximum benefit, do the stretches on days when you don’t ride as well. 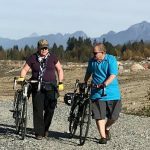 In fact, I noticed that I developed bad knee pain on vacations when I was not cycling at all – and eventually realized that was because I also was not stretching. I now try to make stretching part of my routine, every single day. It only takes five minutes, and it’s worth it not to live with pain. A good time to stretch is after your shower, when your tendons and muscles are warm and relaxed. Doing this stretching routine just before bed may help you with insomnia, too. Your mission in Phase 2: to add in basic interval training to two out of your three workouts. In Phase 2 of your Bike Training Plan you will start to incorporate interval training into your workouts. Interval training basically just means including short intervals of increased effort. These happen naturally on a bike ride. For example, when you get to a hill, you have to pedal harder to get to the top; then you relax a little on the downhill. However, interval training means being systematic about alternating between periods of increased effort and less effort. Ideally you should find a quiet road or track to do interval training, because it can be hard to speed up if your route is very busy. Why would you do intervals? Why not just keep doing an hour or more of comfortably paced riding? A lot of people think this is the best way to burn fat – get into your “fat-burning zone” and just stay there for as long as possible. The “fat-burning zone” is one of the great myths of fitness training. The reality is that higher-intensity exercise will burn calories a lot faster. Interval training is about cycling at a higher intensity for short periods. It’s hard to sustain high intensity for prolonged periods of time. Interval training gives you an ideal compromise: it enables you to incorporate short periods of high intensity/high calorie burn into your workout. The overall effect is that you burn more calories per hour. Intervals do a lot more than just burning more calories. Interval training has been proven to be a faster way to get fit. People who do interval training usually get fit faster than people who do a more monotonous routine. Also, getting fit requires variation. After the initial phase of adjusting to an hour of easy cycling, your body will adapt to that demand. It will then simply stop adapting, and stop getting any fitter. Intervals are an easy way to introduce variation, to keep your body “guessing” and adapting. They are also a great way to put increasing demands on your body. Recent research shows clearly that high intensity interval training on a bike is the most effective exercise to fight aging. You can read much more about that here. The principle of Progressive Overload is that if you put increasing demands on your muscles over time, they will grow to deal with the demands. In the same way, if you put increasing demands on your heart and lungs, they will get stronger to deal with the demands. Progressive overload is a very simple principle, but it is a solid scientific fact. If you keep asking your body to do more, it will grow stronger and fitter to adapt to your demands. If you keep asking your body to do more, it will grow stronger and fitter to adapt to your demands. Long-term, chronic stress leads to weight gain. We all know about the fight or flight response. If you were in a forest being chased by a wolf, you would explode into action, either beating up the wolf or running away really fast. This action would be fueled by a release of glucose, and of amino acids from your muscles. Your explosive actions would have an added bonus – they would trigger the release of testosterone and HGH (human growth hormone). Both of these promote muscle repair and draw on fat stores. So (assuming you survived), the fighting and the running would promote the sort of slim, muscular body that would help keep you alive a bit longer. However, it seems our bodies don’t distinguish well between sudden acute stress and long-term stress. If you are chronically stressed, your flight or flight response still kicks in, but less intensely, and it sticks around for longer. It makes your body release adrenaline, noradrenaline, and cortisol. This gets you ready to fight or run. But if you just sit around in that traffic jam, with all those hormones in your body, it does you no good at all. You have extra glucose and your muscles are releasing amino acids, but you are not doing anything with that fuel. Worse of all, if you don’t do anything physical, you don’t get the restorative release of testosterone and HGH. The best advantage of interval training is that the intense spurts of exercise mimic that whole beating up the wolf or running away thing, and have the same positive effects on your body. So the best way to get fit, burn calories, build muscle, and combat stress is to include interval training in your workouts. How often should you cycle in Phase 2 of your bike training plan? Stick with cycling three times per week. How long should your cycling sessions be in Phase 2 of your bike training plan? One hour per session will still be long enough – but now, you will be achieving more in that hour, because of the intervals. How should you schedule your cycling sessions in Phase 2 of your bike training plan? Stick with the routine that worked for you in Phase 1. One of these options is ideal: Monday/Wednesday/Friday or Wednesday/Saturday/Sunday. How intensely should you exercise in Phase 2 of your complete bike training plan? Of course, this is where you kick it up a notch! However, you don’t have to kill yourself. To start with, the intervals of higher intensity do not have to be about cycling as fast as you possibly can. They just have to be about cycling faster than the easy pace you used for Phase 1 of the training program. To start your interval training, just cycle in this way for two of your three weekly rides. And that’s it! Really easy, right? But once you start doing this, you will have started doing interval training, and you will be on your way to using your workouts to best advantage to really get fit (and lose weight too, if that is one of your goals). Phase 3 of the Complete Bike Training Plan: Kick it Up a Notch! Your mission in Phase 3: to kick it up a notch, so as to increase the demands on your body and keep getting fitter. Your mission in Phase 3: to kick it up a notch, so as to increase the demands on your body and keep getting fitter! You are now on your way to becoming one of these guys! Phase 3 is similar to Phase 2, but you need to kick it up another notch. You can do this in whichever of these ways works for you. Choose one or more of these methods. Make your non-interval ride longer – start adding on time, preparing for your first criterium or charity ride! It’s ideal to do this one on a Sunday, and really see how far you can go. This can be a very exciting ride, and gives you something to brag about on Monday! Make your intervals more strenuous on one of your interval-training days. Aim to achieve an even higher level of perceived exertion during your intervals. For example, crank it up from Level 4 to Level 5. You are on your way to completing your first criterium or charity ride! You deserve to be applauded! Of course you need a bike, and preferably a road bike, or at least a hybrid. If you need to buy a bike to start this bike training plan, then just subscribe to our newsletter and get a free download of my Bike Buyer’s Guide PLUS a free download of How To Buy the Best Electric Bike. Sign up right here and get a weekly dose of inspiration on Monday mornings! Make sure you wear shoes that are designed for cycling, as this will decrease the chance of cycling knee pain and improve your cycling efficiency. These should be shoes with hard soles, not running shoes. Click here for a review of some very good cycling shoes – Five Ten cycling shoes. You may also choose to go with some good clipless cycling shoes. These make you a more efficient cyclist, so if you can master them, you will improve your cycling skills even faster! Your cycling shoes should be shoes with hard soles, not running shoes. These Five Ten Cycling shoes are great! The right equipment and plenty of determination should set you up for success. Really, almost anyone can do Phase 1 of our Bike Training Plan. You will be amazed at how easy it is, and how quickly you become fitter. Once you can cycle for one continuous hour, you will be ready to take your fitness to new levels with Phase 2! This is a simple, complete training plan that anyone can use to get fit on a bike! Good luck with your Bike Training Plan!